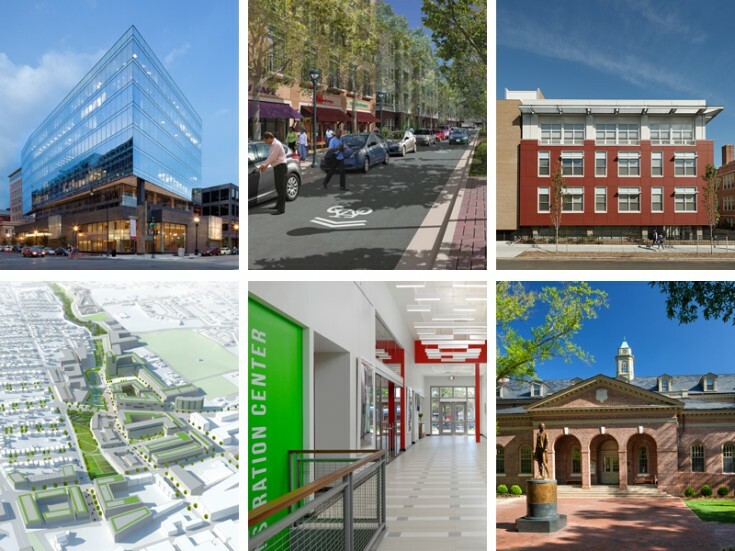 In 2015 Cunningham | Quill Architects received six state and local American Institute of Architects Awards for six completely different projects. 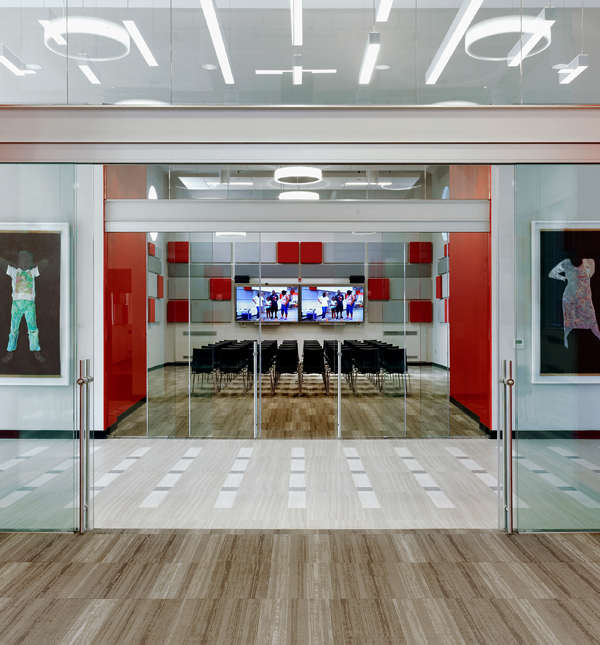 This variety of projects awarded reflects the diverse portfolio of the firm and a well-rounded perspective that we bring to each and every project we design. We are looking forward to a year of innovation and diversity in 2016. R.I.S.E. Demonstration Center is the adaptive reuse of the historic St. Elizabeths East Chapel to create an interim innovation hub and community gathering space. Originally constructed in the 1950s, the renovation preserved the historic exterior of the building while dramatically altering its function and interior spaces. The new entry transforms the Chapel’s relationship to the community from that of an isolated visual landmark to a community space directly accessible from Martin Luther King Jr Avenue. Historic Tucker Hall is located in the heart of the Old Campus portion of the College of William & Mary. 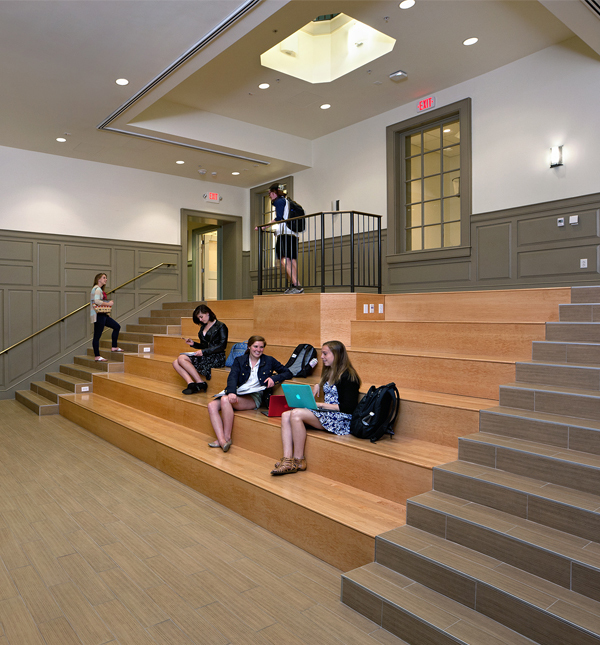 When the time came for a much-needed renovation, the project team immediately honed in on the primary elements for a re-imagined Tucker Hall: respecting and preserving the exterior facade, restoring its remaining interior historical elements such as the Stair Hall and Cupola, creating a new clarity in the circulation of the building, creating study nooks for students and new classrooms, and allowing more light and visual connections in its spaces. It has been awarded LEED – Gold for sustainability, and is currently serving an overjoyed English Department and student body. The First Congregational United Church of Christ (First Church or FCUCC) has been located at the corner of 10th and G Streets since the Civil War. In the new millennium, with a deteriorating building and a resurgent downtown, First Church sought to partner with a developer to build a new mixed use complex on its property. The Design team carefully considered how to best respond to the site context and the challenge of combining the programs and objectives of both their clients into a single, clear vision. 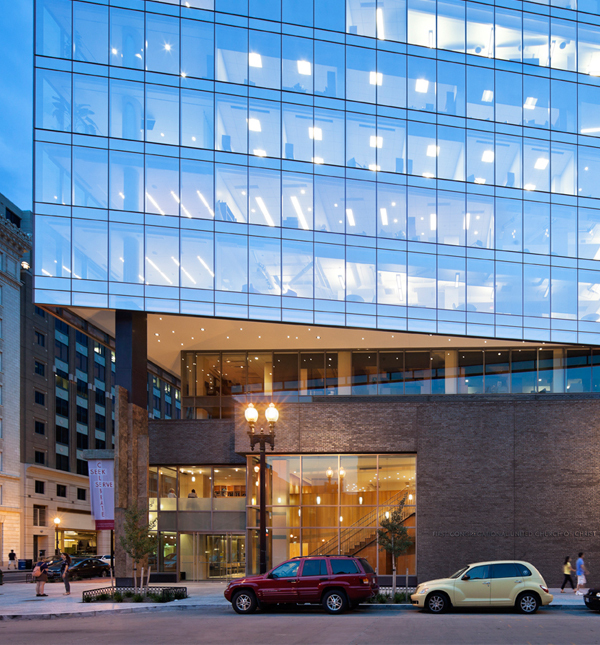 The mixed-use building is Certified LEED Gold. 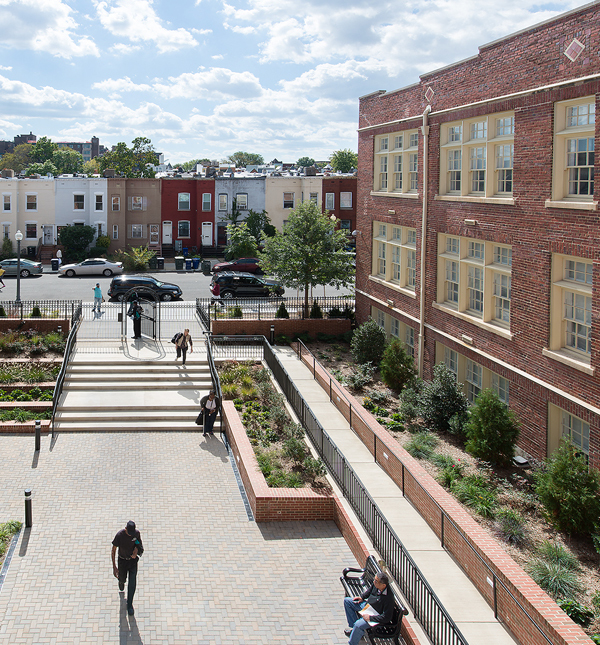 This adaptive reuse project in the Historic Shaw Neighborhood of Washington, DC, transformed the former Margaret Murray Washington School into 82 affordable apartments for independent seniors and a community center to serve the surrounding neighborhood. The House of Lebanon was certified under the Enterprise Green Communities Program. 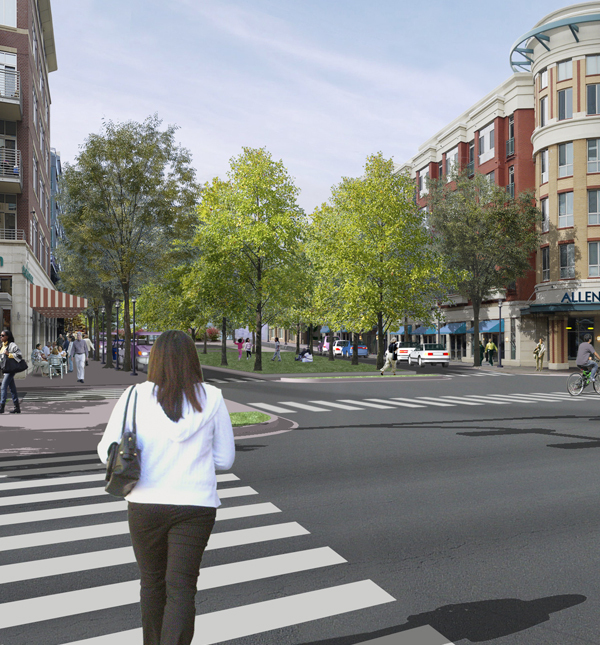 The project is focused on primarily suburban communities in transition along the Branch Avenue (MD Rt. 5) corridor between the Terminal Blue Line Metro Station and Southern Maryland Hospital in Prince George’s County, Maryland. The new station area plans provide a strategic framework for redeveloping and retrofitting aging strip retail centers into moderate density compact mixed-use, pedestrian friendly transit-oriented places, each with a unique identity and sense of place, informed by the communities they serve. Adopted in February 2014 after a yearlong community engagement process, the Strategic Investment Area (SIA) Plan is a multi-layered vision plan for Charlottesville’s former historic industrial center. Informed by more than forty community and stakeholder meetings, the SIA Plan proposes a transformation that builds on the area’s history, culture, topography and physical attributes. 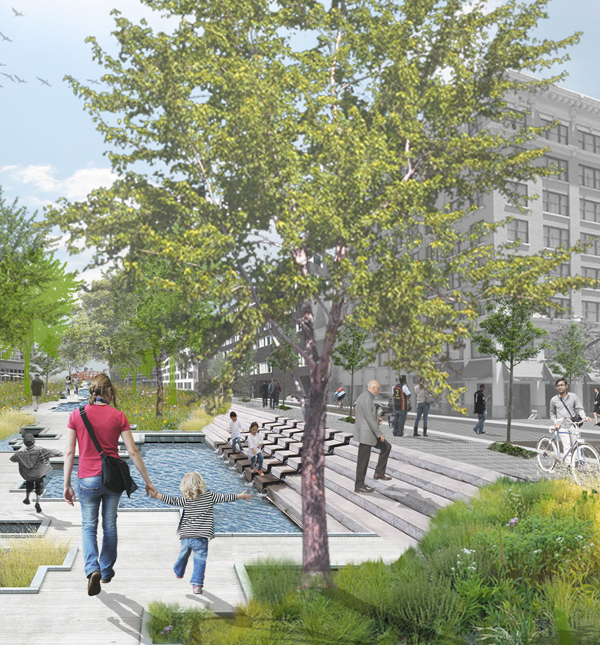 The Plan is structured around three major framework concepts: an ecological corridor, a retail/economic and community services connector and, mixed-use/mixed-income neighborhoods.